Forty-five years after the United States won the space race to the moon against the Soviet Union, an influx of latecomers is finally gathering at the starting line – and making plans to do more on the moon than the U.S. ever did. Space agencies in China, Japan, Europe, Russia, Iran and a few private companies all hope to send people to the moon by as early as 2025. While their plans are still vague, they’re talking about building bases, mining for natural resources, and studying the moon in unprecedented detail. And those are just the manned trips. Even more nations are planning robotic moon missions. China put a rover on the moon in 2013, becoming the first nation to successfully make a soft landing there since the 1970s. Europe, Japan, India, Russia, North Korea, South Korea and several private entities hope to do the same. In fact, just about every industrialized nation has unveiled ambitious lunar plans except one: the United States. Although a number of private American companies hope to send humans to the moon, NASA has explicitly stated that it will not return. “The USA has been a little arrogant in thinking that it can lead the world to the moon, and then it pulled the rug out from under the world and said, ‘Oh now lets go to an asteroid!’ And the world said, ‘You go to an asteroid; we’re going to the moon,’” said Clive Neal, a planetary scientist at the University of Notre Dame. In 2010, President Obama announced the administration’s decision to cancel NASA’s plans to return to the moon in favor of the new and ambitious Asteroid Redirect Mission. 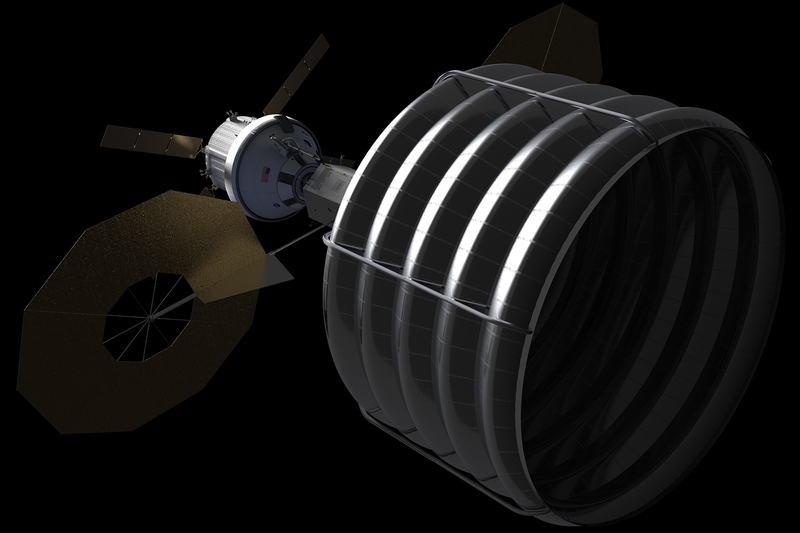 A robotic mission will grab an asteroid in outer space, lug it over to the moon and place it into lunar orbit. Once it’s in orbit around the moon, NASA will send astronauts to explore it. Although the asteroid will orbit the moon, NASA hopes the mission will provide a steppingstone to a different destination: Mars. “We have to find a sustainable way of developing the technologies that are needed in order to enable missions to Mars,” explained Joe Caram, the chief of NASA’s Exploration Mission Planning Office. President George W. Bush had a different plan to get people to Mars. His 2004 Vision for Space Exploration called for manned missions to the moon that would serve as precursors of missions to Mars and beyond. If Bush had had his way, NASA would have launched a manned test flight into outer space by now, and Americans would be back on the moon by no later than 2020. But in 2010, Obama found Bush’s Constellation program, whose rockets and capsules would carry astronauts to and from the moon, financially unsustainable, and he announced a drastic change in U.S. space policy. Regarding the moon, Obama’s perspective was been there, done that. Instead, Obama said in 2010 that the U.S. would first send astronauts to an asteroid, then to orbit Mars by the 2030s, and finally to land on Mars after that. An overwhelming majority of the scientific community seems to disapprove of Obama’s change in plans. David Kring of the Lunar and Planetary Institute said he, like many others, believes that a moon mission would serve as a much better precursor for a trip to Mars than a mission to an asteroid. He explained that the moon would allow NASA to develop the skills and technology needed to go to Mars while staying in relatively close proximity to Earth, meaning a quicker recovery time if problems arise, and the ability to do more missions and speed up the learning process. Although NASA has been to the moon in the past, Kring explained, the current generation of engineers and scientists do not have experience with those missions. “Most of the engineers, for example, have their experience with the space shuttle and space station.” Because those environments have little to no gravity, he said they are “completely different” from environments on a planetary surface where gravity and atmospheric entry are issues to address. In theory, the Constellation Program’s ambitions to put people on the moon would have helped develop the technology and experience needed to put people on Mars. In practice, it just wasn’t working out. Obama declared Constellation to be “over budget, behind schedule, and lacking in innovation.” Why invest so much capital in repeating a mission we essentially already accomplished half a century ago? The Asteroid Redirect Mission will keep NASA on the path to Mars, he reasoned, but spare the cost of building a lunar lander, which would run roughly $10 billion. Proponents of the Asteroid Redirect Mission argue that it will develop the technologies necessary for astronauts to travel into deep space and land on either of Mars’s two moons. Those moons, Deimos and Phobos, are “basically asteroids that have been captured in Mars orbit,” explained Paul Abell, a NASA scientist at Johnson Space Center in Texas. The Martian moons also contain water and other resources, which future astronauts could utilize as “supply depots” near Mars, Abell added. But if astronauts are to land on the surface of Mars, not just on its moons, they’re going to need an expensive lander eventually — a lander much like the lunar lander that Bush’s Constellation Program would have produced, had it not been terminated. So the Asteroid Redirect Mission might be able to take astronauts closer to Mars on less money than Constellation, but it won’t actually help them land on the planet itself. Mars aside, there are other compelling reasons for putting people back on the moon. Kring thinks that a better understanding of the moon will help us learn about the origin and early evolution of Earth and the solar system. When the Apollo astronauts visited the moon in the late 60s and early 70s, “they covered two parts in one million of the lunar surface,” Kring said. The far side of the moon and its polar regions remain untouched. But because the moon is so much bigger than an asteroid, landing there is a lot more difficult and expensive. The lander must be able to slow down enough to keep from violently crashing into the ground, and then it must be able to take off again. When there’s more gravity pulling a spacecraft toward the surface, not only is landing more dangerous, but taking off also requires more fuel. So while the rest of the world works toward a return to the moon, the United States will be visiting asteroids, and possibly even the moons of Mars. But what happens if the world starts building bases on the moon without the United States? This ambiguity could prove problematic if scientists learn how to generate energy efficiently from nuclear fusion using helium-3. The moon is loaded with this helium isotope, and China is determined to figure out how to use it for energy, according to Neal. “One shuttle cargo payload full of helium-3 from the moon would supply all of the U.S.’s energy needs for one year, so it’s a hot commodity,” he said. Other experts discount the helium-3 scenario, however. It’s “very difficult to believe that that would be economically viable,” said Ian Crawford of the European Space Agency. He points out that it would be wiser to invest in renewable energy here on Earth rather than investing in nonrenewable helium-3 on the moon. Although NASA set a precedent by sharing its moon rocks from the Apollo missions with the rest of the world, it is unlikely that competing nations would be willing to share valuable mineral resources that may cost billions of dollars to obtain. NASA is already talking about someday developing the technology necessary for mining asteroids for precious metals and rare earth elements — expensive commodities in high demand. Both the moon and asteroids are potentially mineable, and the world knows it. Space travel is no longer just about national prestige — there’s money out there. While murky international space laws could potentially cause resource disputes, Gabrynowicz thinks that as soon as a country makes a “credible attempt” to begin off-Earth mining, the space-faring nations will reach some sort of agreement to share the costs of exploration as well as bounty from it. Although mining is not the goal of the Asteroid Redirect Mission, the tools and experience NASA will gain from the mission could be useful for any future attempts to mine asteroids. The ultimate goal of the Asteroid Redirect Mission is to advance NASA’s human space exploration capabilities without spending a ton of money on a return to the moon. But the mission certainly has some other perks as well. Although NASA’s administrator Charles Bolden has explicitly stated that planetary defense is not an objective of the mission, the tools NASA will use to redirect the asteroid could one day be used to deflect a potentially apocalyptic earthbound asteroid. Moon enthusiasts will always favor a return to the moon, and they certainly have reasons for wanting to go back. But NASA can’t make decisions based solely on what the nation’s scientists want to do. When the President and Congress decide on an annual Federal budget, politicians get to decide exactly how the money is distributed throughout NASA’s budget. While scientists might have preferred more funding for Constellation, policymakers preferred a more cost-effective and sustainable plan for human spaceflight — one that doesn’t involve the moon. So while NASA attempts to fetch and visit an asteroid, the future of moon exploration and research depends on the rest of the world. For NASA, human spaceflight isn’t a quest for scientific knowledge — it’s all about pushing new frontiers. Other nations can go study the moon and learn about the history of the solar system: The U.S. is more interested in sending humans where no humans have gone before. A very nice piece. I got back to reading Scienceline after sometime and found even more interesting stuff. This covers many important aspects of moon exploration, permanent human presence on moon and the obvious on-going debate on whether moon should still have been on the long term agenda of US space program or not. The best part was the analysis of the economics and costs of going to the moon with the lander and going to Mars and its moons without a Mars lander and how a Mars Lander for an eventual future landing will raise costs much more than any other human mission ever. There’s one aspect which I may add & I’m sure which you could not elaborate on due to word length limit is the development of the private space launchers especially SpaceX’s Falcon Heavy and the race to re-usable rockets as which may change the whole future scenario once it is commercialized. Looking forward to read more such pieces by you.